One day after a New York judge stalled a subpoena seeking data on Airbnb users in New York, the state attorney general's office refiled the request with a slightly more narrow focus it hopes complies with the judge's ruling. "Since the judge rejected all of AirBnb's arguments except for a narrow technical matter, our office has served the company with a new subpoena that addresses that issue," Matt Mittenthal, spokesman for Attorney General Eric Schneiderman, said in an email sent late Wednesday to CNBC. 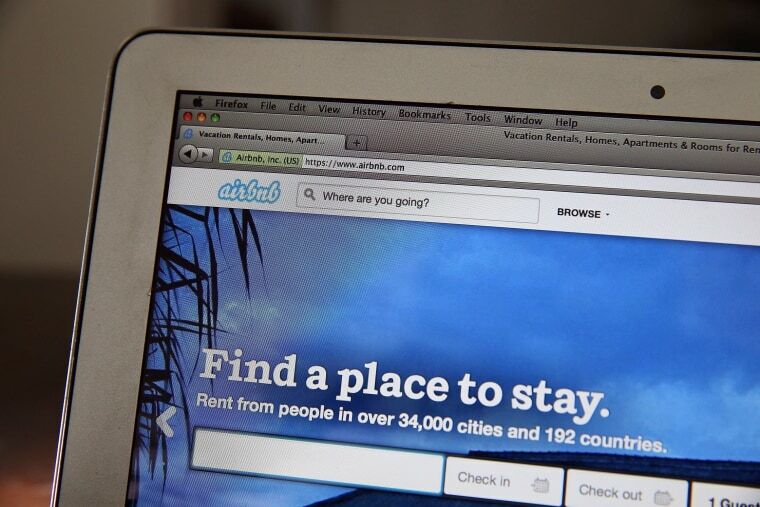 "The judge specifically found evidence that a 'substantial' number of Airbnb hosts may be violating the tax laws and the law that prohibits illegal hotels. The time has come for Airbnb to stop shielding hosts who may be violating a law that provides vital protections for building residents and tourists." The peer-to-peer home rental site allows people around the world to rent out all or parts of their homes through its website. New York City law, the attorney general's office said in filings with the court, prohibits residents of multiple-dwelling buildings to rent out their apartments for any period of time less than 30 days unless they are also present in the apartment. While Schneiderman's office had asserted that about 15,000 users were likely in violation in New York, Airbnb last month said it voluntarily purged 2,000 inappropriate listings. "The Airbnb community wants to pay New York more than $20 million in additional taxes this year, bring more travelers to the state, and support more jobs. And when we discovered that some people were abusing our platform, we removed them from our site altogether," the company said in a statement to CNBC on Thursday morning. "It is certainly disappointing that the Attorney General's office continues to demand private information about thousands of Airbnb hosts, so many of whom struggle every day just to make ends meet. We are reviewing this new demand, but remain eager to work with the Attorney General and we will continue to advocate for New Yorkers who simply want to share their homes." Airbnb previously said it's willing to start collecting hotel-type taxes on behalf of its hosts if New York state law is modified to let it do the collection rather than require individual users handle the taxes. The total tax on a typical New York City hotel room is 14.75 percent plus $3.50 per room per night, according to NYC & Company, the city's official tourism group. Currently there are more than 500 hotels in the city.